They’re just what the Rift needs for immersive VR. The Oculus Rift proved that high-end VR has a place in your home, but so far it's lacked one major feature: motion controls. That's something both the HTC Vive and Sony PlayStation VR offered from the start, and it's gone a long way toward helping those platforms deliver more immersive virtual-reality experiences. Now with the long-awaited $199 Touch Controllers, Rift users can finally join in on the fun. 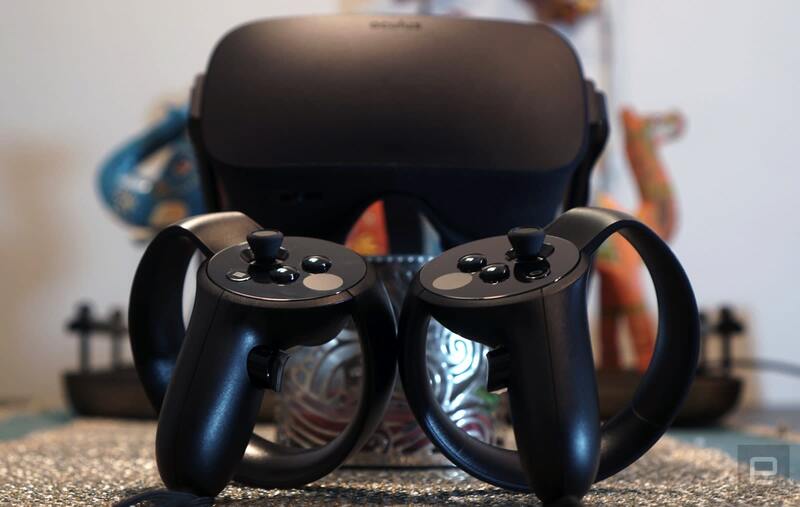 Sure, it's taken nine months for Oculus to actually put motion controls in the hands of consumers, but it's clear that the company hasn't been twiddling its thumbs. Instead, it's delivered one of the most refined game controllers I've ever held. 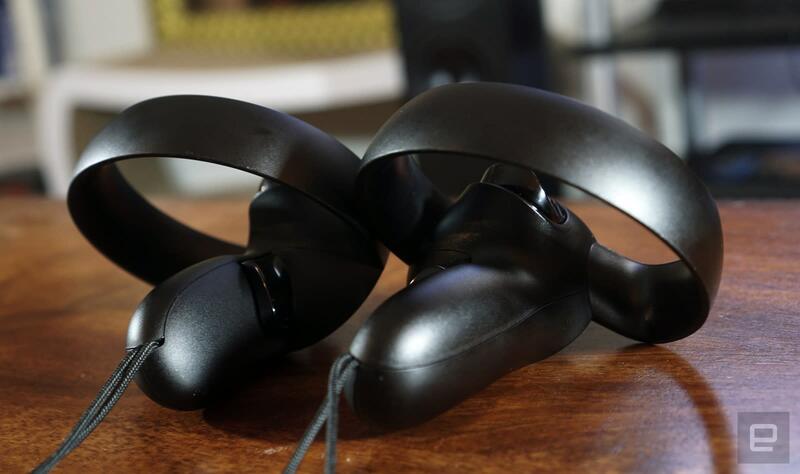 The Oculus Touch controllers are exactly what Rift owners need: solid motion controls. But, surprisingly, they're also great gamepads in their own right. They're essential if you want a Rift VR headset. Be the first to review the Touch? 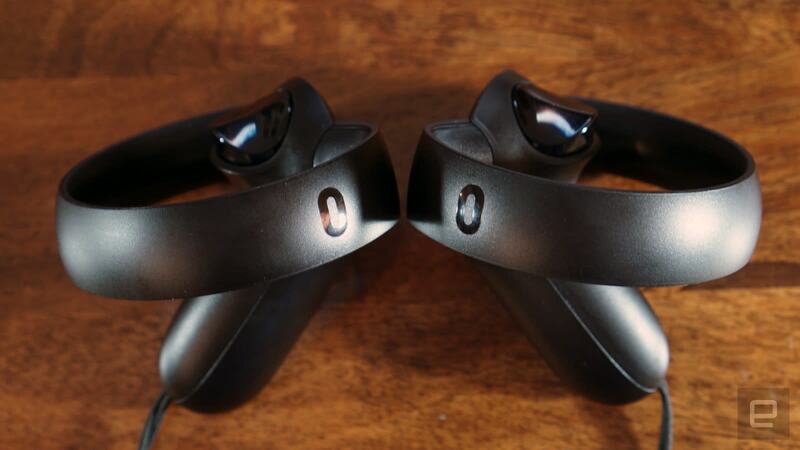 Even if you're a diehard gamer, the Oculus Touch controllers probably don't look like anything you've seen before. They're more like how a sci-fi film would imagine a futuristic gaming-input device: beautiful, but unwieldy at first glance. The Touch controllers are made from smooth black plastic (they look a lot like the Xbox One's controller), and they feel pretty sturdy. It's hard to tell this is Oculus' first attempt at a gamepad. Once you get past the unique design and get your hands on them, though, you'll notice something surprising: They're actually incredibly intuitive. The Touch controllers are contoured for your left and right hands, and once you grab their rounded handles, your fingers will naturally fall into place. Both feature analog sticks; two face buttons; triggers, which your index fingers rest on; and grip buttons, located underneath your middle fingers. Additionally, the left controller features a menu button right below the analog stick, while the Oculus home button sits on the right controller. Their prominent circular rings help with motion tracking, but you won't ever need to hold them. You also get another Oculus sensor in the controller's box, which allows the Rift to handle VR experiences in which you're standing and moving around. It's not quite room-scale VR like the HTC Vive, though you can buy a third sensor for $79 to make that happen (or a fourth for very large spaces). Because the original Rift sensor sits on the far right side of my office desk, I set up the second on the far left. 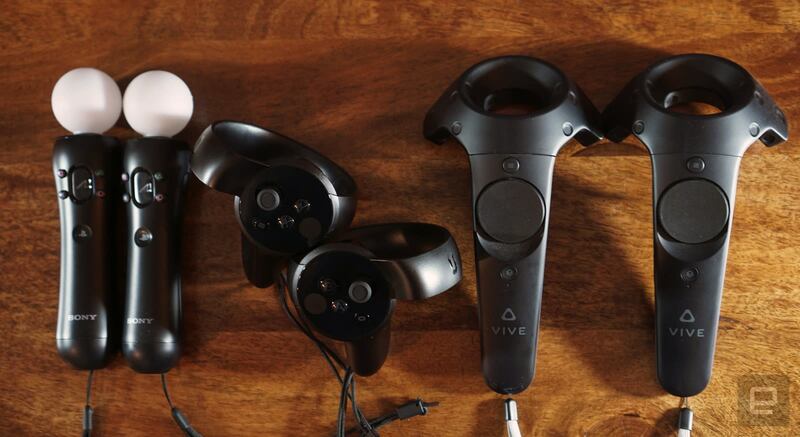 Since they're both smaller and lighter than the Vive and PS VR's gamepads, the Oculus Touch controllers are also better suited for extended virtual-reality sessions. Admittedly, size and weight isn't a huge issue with the competition, either, but the Oculus controllers feel significantly more comfortable. I'd also attribute that partly to better ergonomics. HTC's Vive controllers fit into your hands well, but they're very large. And the PlayStation Motion controller wasn't built specifically with VR in mind, so it's a bit tougher to use when your eyes are covered with a headset. Each Touch controller is powered by a single AA battery, which fits inside the base via a magnetic latch. As usual, I would have preferred it if Oculus had included removable, rechargeable batteries instead (perhaps with micro-USB support to make life easier). I can understand not building in rechargeable batteries, like on the HTC Vive and PS VR, because they make for much more expensive replacements if anything goes wrong. But it would be nice to re-energize these controllers as easily as the other gadgets in my life. 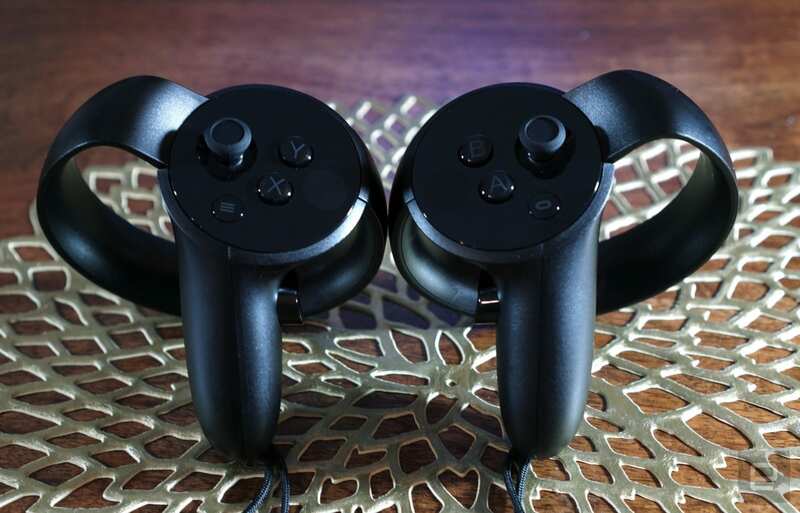 According to Oculus engineers, the controllers should last around 30 hours on a single battery without haptic feedback, and 20 hours with haptic feedback. Setting up the Touch controllers was simple: I plugged the additional sensor into a USB 3.0 port and followed the on-screen instructions in the Oculus app. I was surprised to learn that both sensors have to be facing straight forward to work with the Touch devices -- mostly because I was used to having them point toward me from a corner of my desk. Similar to the Vive's setup, you'll also have to trace out the boundary of playable free space in your area. That information is used for the Oculus Guardian feature, which creates virtual walls when you're in VR to keep you from bumping into obstacles. Once everything is configured, you're thrown into "First Contact," a retro VR experience that steps you through the Touch controller's capabilities. It teaches you how to recognize all of the individual buttons, grab objects and make gestures like pointing your fingers all while playing with things like virtual fireworks. It's a good way to whet your appetite, because plenty of games will use similar input schemes. When it comes to motion tracking, the Touch controllers kept up with hectic things -- like shooting several enemies virtual gun -- or more-precise movements, like setting down an object gently on a table. On my desktop, which is powered by an Intel Core i7 4790k CPU running at 4GHz, 16GB of 2400MHz DDR3 RAM, and an NVIDIA GTX 1080 GPU, I didn't have any issues with spotty motion tracking, even in instances where I had to aim at something behind me. It felt significantly more stable than the PlayStation VR's motion tracking, which relies on a single depth-sensing camera and less-powerful hardware. What really surprised me about the Oculus Touch controllers, though, is that they're also very good game controllers. The analog sticks rotate smoothly and have a ridged outer ring, which keeps your thumbs from slipping off. The four face buttons and triggers all deliver a solid amount of feedback (once again, they remind me of the Xbox One's gamepad). Of course, those are just my thoughts after playing with them for a few weeks; the real test of a controller is seeing how it feels after a month or so of strenuous play. I've only had a few weeks with these (and for the record, my battery life for each is around 20 percent). One aspect that I didn't appreciate as much in earlier Touch demos: Each button on the controllers is capacitive, so it can tell when you have your finger on a button while not pressing it down. It can also detect if you lift your fingers off a button -- which is useful for things like the pointing gesture I mentioned above. Thanks to this refined finger detection, the controllers do a better job of keeping you "present" in VR experiences. And it's also something I expect we'll see in other gamepads in the future. 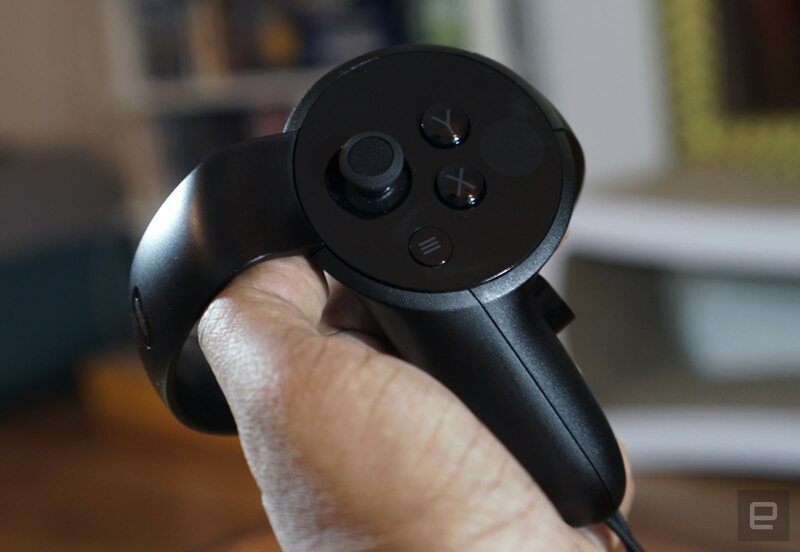 I've had game controllers in my hand since I got an NES at age 5, but the Oculus Touch are the first to feel as if they're practically extensions of my body. At this point, we're well into the second major wave of VR releases (the first coincided with the launch of the Rift and Vive; this one was kicked off by the PS VR). Oculus says 53 titles will offer Touch support at launch, including existing games like The Climb and Job Simulator. As for next year, you've got games like Arkitka.1 and Giant Cop: Justice Above to look forward to. Plenty of Vive Steam VR titles will also work with the Oculus Touch, even if they're not available in the Oculus store. VR was practically made for locked-room puzzles, and I Expect You to Die doesn't disappoint. Developed by Schell Games, it puts you in the role of a spy who always finds himself in sticky situations. At first, it's a booby-trapped car that you need to drive out of a plane, but it's not long before you're stopping superviruses from wiping out millions. It's a fine showing for the Oculus Touch controllers because it demonstrates how well they can manage fine, methodical movement. At one point, you have to maneuver something through an array of laser sensors, all while spraying window-washer fluid to make the lasers visible. Shortly after that, you're handling beakers of potentially exploding material. You'll die a lot, but as with the best games, it'll usually be your fault -- not the controller's. "I just spent 30 minutes in VR and boy are my arms tired." That's me after every Serious Sam VR session. The original game was an insane mashup of action-movie machismo, big guns and boatloads of carnage ... so you'd imagine that would translate to VR pretty well. The VR version is just as bombastic, but because you're actually physically aiming guns and dodging an assortment of projectiles, it's also quite the workout. I could only play it for around a half hour at a time without getting exhausted. But for those glorious minutes, I was in shooter heaven. It's exactly what my 13-year-old self dreamed of. Serious Sam is the fastest-paced VR game I've played, and it's a testament to the Oculus Touch's tracking capabilities. Even as I was whipping guns all around my office and spraying bullets everywhere, the controllers never skipped a motion-tracking beat. A Doctor Strange fan's dream come true, The Unspoken is a multiplayer magic battle game that puts you right in the shoes of a destructive spellcaster. Most of your time will be spent throwing fireballs at your enemies and shielding incoming fire while teleporting around a stage. But you'll also have to do things like make motion gestures for powerful spells and hammer out mystical items mid-battle. It's a prime example of the versatility of Oculus Touch -- they're able to keep up with the fast-paced action while also being accurate enough for complex gestures. While the full game will be available free next year, the Robo Recall demo I played was sublime. Developed by the Unreal Engine masterminds Epic -- people who really know their shooters -- the game puts you in the role of an enforcer who has to take down rogue robots. And, yes, you can bet that'll involve plenty of guns and explosions. Like many VR games, you move around by teleporting (a mechanic that'll hopefully get refined before launch, because reorienting yourself is a pain). The real focus, though, is on shooting -- and it's spectacular. The Oculus Touch controllers are incredibly accurate, both when it comes to fast-paced blasting and slowing down to nail an accurate shot. And like Epic's Bullet Train demo (which was used to show off Touch prototypes), you can also slow down time, yank bullets out of the air and throw them right back at those nasty bots. Much like Google's Tilt Brush, Quill is Oculus' attempt at a VR painting app. It was originally created to help develop the VR short Dear Angelica, but it has since evolved into a worthy virtual drawing tool in its own right. I'm not the best person to judge the merit of artistic tools, but I can say that the motion tracking of your virtual brushes seems on-par with Google's app. And even for those who can't draw, there's still something magical about doodling in three-dimensional space. It's pretty clear what Oculus is up against: the HTC Vive and the PlayStation VR. Sony's option is still the cheapest pathway to consumer VR -- and if anything, the Touch controllers make the Rift an even more inaccessible platform. Because they're another $200 on top of the Rift's $600 cost, it puts the platform on the same level as the $800 Vive. The choice really comes down to which headset and platform you prefer. If you want to walk around in VR environments today, the Vive's hardware can do that. The Rift, together with the Touch, will let you only stand and take a few steps around a small space. You can also play games on both platforms, no matter which headset you own. Personally, I'll probably end up spending more time with the Rift, because the headset is so much more comfortable to wear. Oculus had one job: Bring motion controls to the Rift. With the Touch controllers, it managed to do that well. And, surprisingly enough, the company also proved it could make a damn fine game controller. If you've already invested in a Rift, the Oculus Touch is a no-brainer purchase. And if you've been holding out for VR platforms to iron out some wrinkles, it's a sign that the virtual-reality ecosystem's growth isn't slowing down anytime soon.